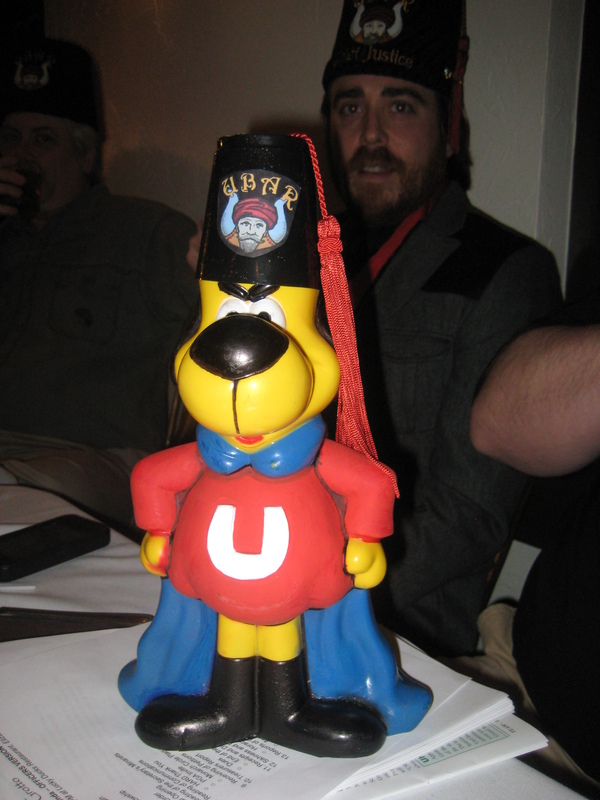 Ubar Grotto held its first stated meeting of 2012 on Sunday, January 8, , at the Lucky Duck Bar and Grille in Elizabethtown, PA. With close to 20 members in attendance, the fellowship was just as warm and gregarious as always. The night started off with dinner and the usual toasts, followed by time to eat, drink, and be merry. A program was presented prior to the formal opening. 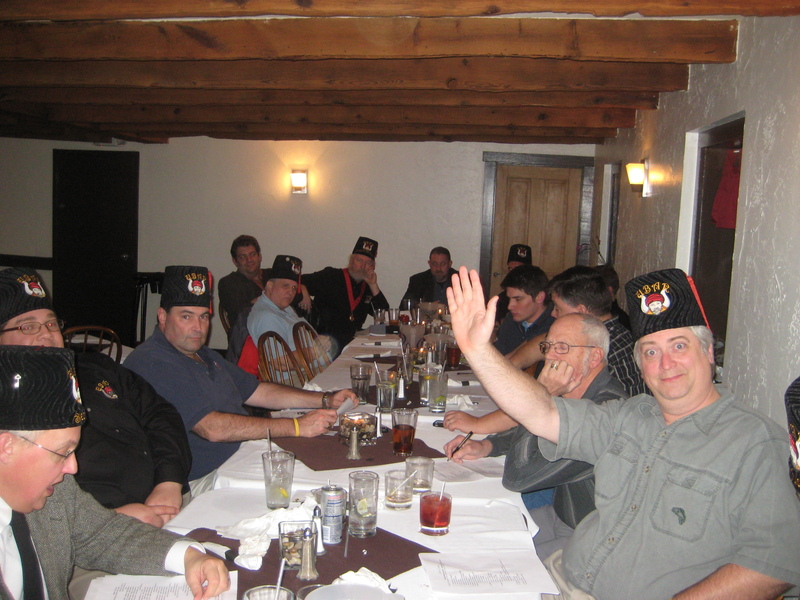 Prophet Robert J. Burns, Past Monarch of Delco Grotto, presented a discussion on Masonic symbols in movies, which was well received by the members. Following the presentation, the meeting was formally opened and business transacted. The Chief Justice reminded the members present that he is indeed the Chief Justice (although nobody actually listens to him.) Many, many, many petitions were read for the first time (although the exact number will remain secret from the prying eyes of Cinema Grotto.) The members approved the purchase of an advertisement in the Supreme Council Session Book, a design for a parade / display banner, and handles the other usual business. The Ubar Shirt Order Form was also presented and distributed. Finally, Ubar is planning a Cigar Night at the Hershey Tobacco Company on January 20, 2012. Check back here for more information as it becomes available! Ubar Grotto – more fun than you shake a turban at!